About | RD Appliance Service, Corp. 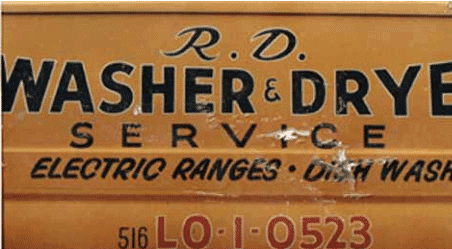 Founded in 1963 as R.D. Washer &Dryer Service we’ve been a family owned and operated business ever since. We are a father and son team, second and third generation technicians, and we are trained professionals. RD Appliance Service, Corp. has been serving Long Island and Nassau County for over half a century. We service all brands of appliances including Whirlpool, GE, Maytag, LG and Samsung as well as Miele, Thermador, Viking, and Bosch. We are trained and up to date on the latest innovations in home appliances and appliance repair training and we have access to the much needed technical information required to service today’s highly complex machines. Our technicians regularly attend appliance repair training seminars on new products and continuously update their technical knowledge. 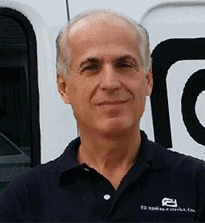 Meet the Owners of RD Appliance Service, Corp.
Eddie has a degree in refrigeration technology and has been a technician for over thirty years, working side by side with Ralph, his uncle and the founder of RD. 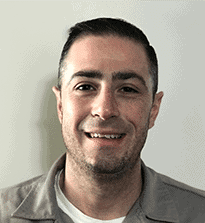 David has been a technician for over 15 years and regularly contributes articles on service to the United Servicers Association Newsletter, the appliance industry’s leading monthly online publication. We use the latest technology to assist in diagnosing and repairing your appliance problems. This technology also allows us to do our part in conserving our environment by eliminating paper invoices. We are members of United Servicers Association as well as Marcone Servicers Association and hold ourselves and our work to the highest standards. As technicians and owners, we perform appliance repairs with the same quality and care that we would in our own homes, so you can rest assured that the repair will be done right. Our Original Truck from 1963!